Beef & Vegetable Stew is one of those iconic winter meals. It tastes delicious, is healthy, is easy to make, and has an almost magical ability to warm you up on a cold day. I love experimenting with different vegetables and herbs in my stews and love it when I find a combination that tastes great. 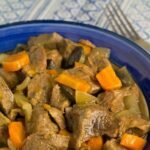 I believe that this Slow Cooker Beef & Vegetable Stew one is no exception! The vegetables that I used in this recipe are onions, carrots and mushrooms, however you can add whatever vegetables you like. I also love using potato, sweet potato and celery in my stews. I remember buying my slow cooker and not using it for close to one year. Seriously, what was I thinking? I love it so much now and I am constantly looking for new recipes that I can make with it. 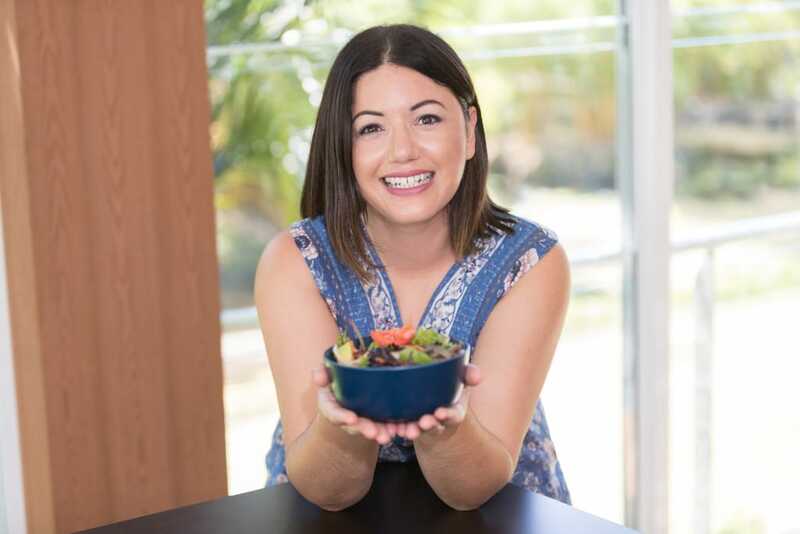 Some success stories that I’ve already blogged about are my Slow Cooker Osso Bucco and Slow Cooker Cashew Chicken recipes, but I have some more on the way soon! Where possible, I use organic ingredients and grass fed beef and will include them in my recipes if I have used them. I don’t have heaps of choice where I live, so I rely on the major supermarkets, local shops and online stores for my ingredients. Add meat, vegetables, stock and then remaining ingredients to slow cooker and cook on low for 6-8 hours (the longer the better if you want the meat to be really tender). Just before you’re ready to eat, take out most of the liquid and place in a saucepan and bring to a boil. Take a small amount of liquid and place into a small bowl and sprinkle the arrowroot flour, whisking as you add it. Keep whisking until all lumps are removed. Remove the saucepan from the heat and slowly pour the arrowroot mixture into the saucepan, making sure you whisk continuously. If you find that the gravy is not thick enough, mix some water and some more arrowroot flour in a small bowl, whisk well and then slowly add to the saucepan. Pour the saucepan contents back into the slow cooker and stir gently until well combined.